1600 Glenarm Place - a renovation by Davis Partnership Architects, Martino & Luth Structural Engineers, and Hyder Construction. It was originally the Security Life Building in Downtown Denver before being converted to an apartment building in 2006. This building, which houses 333 residential units and 30,000+ square feet of prime real estate, was in need of an amenities area renovation. This renovation included amenity areas on the 2nd and 3rd floors, as well as a new stairs connecting the levels to the main building which doubled as an architectural design feature. 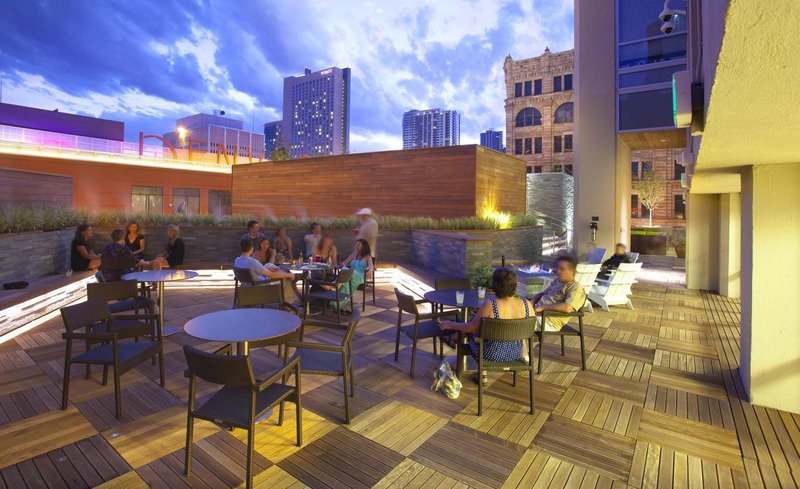 Renovation additions for this luxury apartment complex included a movie theater, conference room/business center, rooftop deck, waterfall feature, and fitness area.